An SEO audit is the process of making sure your website and online presence meet the standards of Google and other search engines in regards to customer experience, quality, and relevancy. When businesses stay up-to-date on these standards, they appear higher in search engine rankings, which can result in more clicks and more online revenue. A thorough SEO audit should be conducted at least quarterly for best results and can require a significant time investment. For small businesses with time constraints, Hibu offers an extended SEO audit and management department, including on-page, off-page, and social media management for an affordable but custom monthly price. Contact them to learn how you can get one month free. To create a highly visible, relevant, and obstacle-free online experience for target markets, businesses must continually grab Google’s attention by creating an XML sitemap and submitting it, and then repairing frustrating website experiences like broken links and excessive load times, proving their quality to Google via an earned high-authority link profile and ensuring the remaining experience offers what target markets want via keyword optimization and competitive updates. SEO means creating a website experience that Google can access and deem worthy of being called a great customer experience. 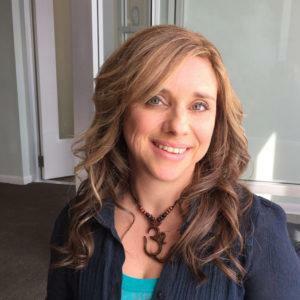 Getting a behind-the-scenes look at your website as Google sees it involves using many tools. 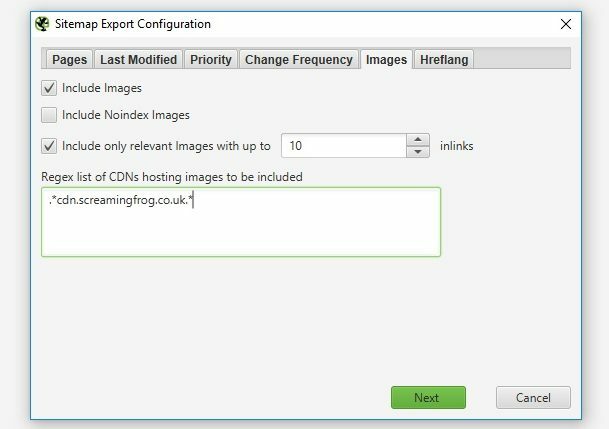 For example, Screaming Frog helps you create a map of your website as Google will see it, then detect broken links and slow load times. From there, you can investigate issues to resolve them with tools like Ahrefs and TinyPNG. When delivered correctly and quarterly, SEO audits give businesses an ongoing action plan to give target markets what they expect and need from a competitive online experience. In turn, Google feels comfortable referring businesses to target markets via a high ranking on search engine results pages (SERPs). This means businesses need to do less paid advertising, as their businesses are organically promoted by the very engines customers use to search for them. A periodic search engine optimization (SEO) audit is a must for small businesses to compete for visibility in the very place people search for their business. Whether products are sold solely online, both online and off, or strictly via a brick-and-mortar establishment, a successful online presence requires a constant focus on search engine optimization. Brick-and-Mortar Stores – While brick-and-mortar stores, like grocery stores, restaurants, and hotels, serve customers in person, they are often found first online. Without proper SEO practices and continual optimization, they run the risk of being hidden from the very customers they need to bring in the door. Online Stores – Online stores, like marketing, accounting, software, and even travel booking websites, can easily get buried under competitors in search engine results pages if they don’t stay up to date on competitive best practices for remaining visible. An SEO audit gives them the action plan to compete on rankings so competitors don’t get all the clicks. Virtual Service Providers – Businesses like virtual accounting, marketing, graphic design and business coaching firms must ensure customers can find them. To do so, they must stand above the endless number of other firms that offer the same services. SEO helps them stand out in search engine rankings, allowing qualified leads to more often access and choose them. To conduct an actionable SEO audit, businesses must crawl their websites, then use the resulting reports to help Google index and optimize their website experiences so they’ll be most referred by Google SERPs. On-page and off-page updates help to offer the most relevant and smooth online customer experience. Businesses must constantly update their online presences to meet shifting customer expectations. When they do, they’re rewarded with higher rankings. Crawling your website is a process of mimicking how Google tracks site speed, broken links, titles, meta descriptions, and more on your site to determine what kind of website experience you offer. Knowing this helps you learn how to improve your website experience so you can better rank based on your website experience. To crawl your website, download an SEO crawling tool, set up your crawl, then launch it. With the tool downloaded, you can begin setting up your crawl right away. Simply input your website’s domain name into the search bar and click “Start.” From there, wait until the tool finishes crawling your site. You can see the percentage increase as it crawls your website to determine its progress. If you have a site larger than the 500 URL limit covered under Screaming Frog’s free license, you can purchase a larger license, which offers an unlimited URL crawl limit, or use other crawling tools. Other tools include DeepCrawl and Moz Pro for a heftier price than Screaming Frog’s SEO Spider tool. These offer crawl limits of 15 million URLs and 100,000 URL crawls, respectively. An XML sitemap tells you how your website content is organized and so serves as a table of contents that Google can crawl and index. 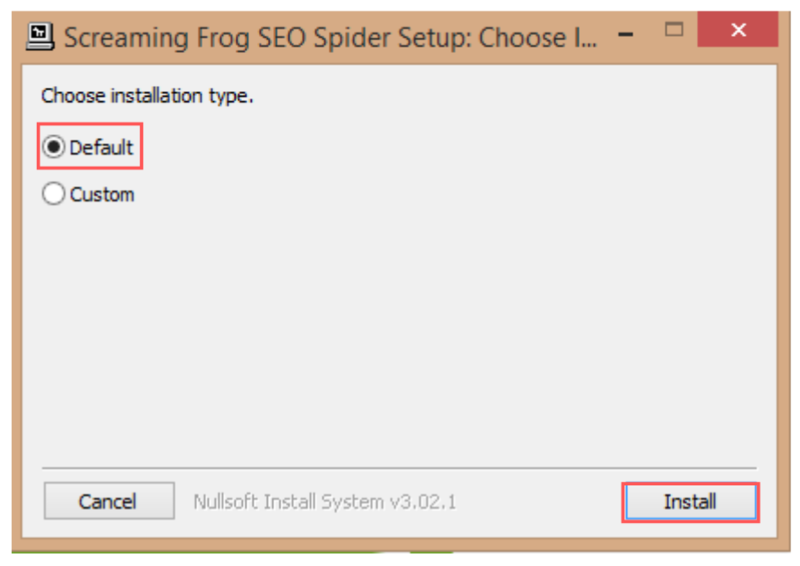 Use your crawled information from Screaming Frog’s SEO Spider to generate your map, then submit it to Google Webmaster. Doing so tells Google the pages you want indexed. As a result, Google immediately crawls your site and indexes it, excluding things that damage ranking like duplicate content and repetitive images. To begin creating your map, select the “Sitemaps” tab from your Screaming Frog SEO Spider tool interface. Then, select “Create XML Sitemap.” You will be presented with various options for setting up your sitemap. 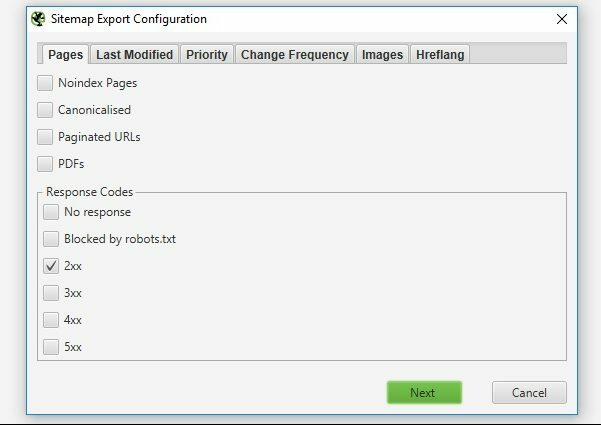 Choose Pages to Include – By default, Screaming Frog will exclude pages with error codes, like redirects with a 301 or 302 page, pages that have a 401 error showing they’ve been removed, or pages that aren’t responsive due to a server error. To include them in your site map, click on the “Pages” tab and check the boxes next to them. Choose Pages to Exclude – You may also choose to exclude pages that you don’t want included in your sitemap from Google’s perspective. For example, on the “Pages” tab, leave “canonicalised’ unchecked to avoid indexing duplicate content. If you don’t know about “noindex” pages and “paginated URLs,” it’s best to leave these unchecked as well. If you want Google to index PDFs you have on your site, check the “PDFs” box. Choose Images to Include – Images that go along with blog posts and products are good to include. However, images like your logo may not be as interesting to Google or your visitors, so you can remove them. To include images, click on the “Images” tab and check the “Include Images” box. It will default to include only images with 10 links to it. Click this box as well to remove repetitive images like logos across your site. Other available options, including the last modified date, URL priorities, and URL change frequencies, are only hints to Google, but Google usually figures these things out on its own and goes by its own information before going by yours. So, it’s fine to leave these as is. Once you have selected all your sitemap specifications, simply click the “Next” button to begin generating your map, then wait for it to generate. Once you’ve generated your site map, give it a name, and click “Save” to save it to your preferred file or location. Once you’ve generated your map, you’ll want to add it to your site. Different servers and content management services have different ways of doing this. If you don’t know how to do this, we recommend contacting a five-star website developer on Fiverr to add this to your site. To generate a list of qualified freelancers, simply search for “XML Sitemap” on Fiverr. Once you have created your sitemap, submitting it to Google tells Google how to index your site for easier content ranking. First, you need to connect the Google Search Console to your website. Learn how here. Then, you can submit your sitemap by following Google’s instructions here. Once you’ve added your sitemap to Google, Google can now read exactly how you want your site indexed and will take the cue and crawl your website for indexing. It’s a good idea to submit a sitemap whenever you’ve redesigned your website, migrate content, or make major changes to your site. Duplicate content means two or more versions of one page exists. As a result, traffic and rankings are diluted. Think of it like an inadvertent A/B test. When you conduct an A/B test, you create two page versions and then send half of your traffic to each page to determine conversions. Likewise, duplicated content sends part of your traffic to an alternative page so you never get the full traffic or links to one page. You’ve already taken care of duplicate content on your website via our XML sitemap submission, but you also want to ensure no content is being republished on other websites without your permission, knowledge, or the proper attribution. In this case, Google chooses one to rank. The problem arises when the one that’s ranked does not live on your website. One way of checking for duplicate content elsewhere is to copy and paste portions of your content into Google to see what pops up. If you have a lot of content, however, this is time-consuming and tedious. Copyscape solves this for you. The free version is a little less tedious. You just have to enter a URL and it tells you if that URL’s content has been published elsewhere and if so, where. This is great for solopreneur sites and small businesses. But, for a lot of content, they have solutions to help you constantly monitor for duplicate content at very cheap prices. Their Premium Plan offers batch searches where you can input up to 100,000 URLs at a time during your SEO audits. The cost starts at $.03 for the first 200 words, then $.01 per each additional 100 words. With the Premium Plan, you can also filter out sites you already know republish your content (e.g., syndications or owned properties). You can also automate this process for ongoing protection. CopySentry, for example, offers a service that searches for duplicate content on a weekly basis and alerts you by email if the content has been published elsewhere. Prices start at $4.95 for the first 10 pages of content and $.25 for each additional page. Keyword research helps you pinpoint what keywords to target on your website’s content to rank well against competitors and meet business goals. To do this, you need to research the value proposition, target audience, and ideal keyword for the content on your site. First, assess content that Screaming Frog has already indicated needs updating because metadata descriptions or titles are too long. Second, do keyword research to verify your chosen keyword will help your content rank well. Screaming Frog offers hints into what content should be updated first. Now that you’ve crawled your website, you should have a full list of all the URLs on your website, including the metadata description and title lengths. From here, you can pinpoint the ones that need the most work based on whether their meta description and title lengths exceed the ideal SEO length. Click on the “Meta Description” Tab in Screaming Frog’s SEO Spider tool. Scroll to the right to find the “Meta Description Length” column. Find the URLs that have a zero or a number above 150. Scroll back over to the URL for each and copy and paste it into an Excel sheet. Create a column next to these titled “Metadata Problems” and input the metadata and the number you noted from the Meta Description Length column. Click on the “Titles” tab in the Screaming Frog SEO Spider tool. Scroll to the right to find the “Title Length” column. Find any numbers that are above 70. For each, scroll back to find the URL associated with it and copy it. Be sure to use the “Find” feature to ensure your URL isn’t already listed. Back on your spreadsheet, copy and paste the URLs of pages with problem titles. Add another column for “Title Problems,” then paste in the title length for problem titles in this column. Now that you have a list of URLs that need on-page SEO work, begin clicking on each URL. First assess the value proposition for the piece, then the target audience. From there, you can choose a keyword based on your target audience’s search intent around the value proposition. The value proposition is what you want the content to achieve for your audience. For example, you might want it to help the reader trust in your company’s expertise or download a white paper associated with a featured product. From there, determine the target audience of that value proposition. For example, your value proposition might be to “build trust with accountants,” and so your target audience might be accountants seeking training. Now that you have a value proposition and a target audience, brainstorm keywords your target audience might search to find content that offers your value proposition. 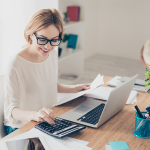 For our accountant, for example, he may look for “accounting tutorials” or tutorials about the topic your white paper covers (e.g., QuickBooks tutorial). Using the keyword you’ve chosen for each page as a starting point, use keyword research tools to verify they will help your content rank well. Replace keywords that are unlikely to rank well with synonymous or similar keywords that will. There are several tools that can help you do this, including Ubersuggest, SpyFu, and Ahrefs. Ubersuggest is a free tool developed by the marketing influencer Neil Patel. Just type in your keyword and it will instantly generate a report for you containing the keyword’s search volume, other keywords likely to rank higher or lower than the one you entered based on search volume, its ranking difficulty, the content that ranks well for this keyword, and more. If your keyword has a high search volume and a manageable ranking difficulty (below 60), take a look at the competitor content that it ranks well for. Also note the keyword with the second-highest search volume and jot it down as your secondary keyword. Take notes about what each piece covers and its format. Notice how the keyword is incorporated. Titles – Are keywords used in titles? Where do they appear in titles? Subheadings – Are keywords used in subheadings? If not, are there secondary keywords listed in Ubersuggest in the subtitles? Are these easier to rank for? Content – How many times are primary and secondary keywords used in the content’s text? Where are they used? Are there more instances of them in the first paragraph, for example? Are they used in the SERP (search engine results page) snippet? SpyFu – This tool is $33/month but helps you research both keywords and influencers so you can rank by keyword and give your content a competitive advantage by also reaching out to influencers for quotes that would resonate with your target markets. Ahrefs – This tool is $99/month but offers a competitive analysis to tell you what keywords competitors are attempting to rank for that you aren’t currently. It also offers a hefty link analysis tool that can help you with later sections in this guide. Now that you know what content will likely be indexed and duplicate content isn’t diluting your traffic, focus on making the most of the content you have by editing it to incorporate keyword research. Apply your chosen keywords to your metadata descriptions, content, and titles while being careful not to create broken links by updating URLs. This will help your content compete against competitor content for ranking on search engine results pages (SERPs). Now that you know what content needs to be updated and have the keyword research to do it, go back to your list of URLs and begin updating them. Update content, meta descriptions, and copy. Metadata Descriptions – These should be no more than 150 words and a declarative statement that uses a keyword. Be sure to use keywords in a way that sounds natural and not like you’re forcing them. Read them out loud. If you trip up on certain parts or it doesn’t flow like conversation, it probably doesn’t sound natural enough. Titles – All H1 titles should have a keyword, preferably at the beginning of the title if you can. Subtitles (H2s) should incorporate primary and secondary keywords (only one in each) when it makes sense. If you change your post title (H1), make sure your URL stays the same so as not to create broken links in content that references that post. Keyword Density – Primary and secondary keywords should be used in at least the first 100 words of your post. Sprinkle them throughout your post in a natural way. Use the “Find” feature to search for keywords. If it looks saturated, you may have gone too far and should delete some so they appear natural. Copy Formatting – Update your post’s format to make it easily digestible. Use bullet points, paragraphs that are no more than five lines, and subheadings. URL – While it’s great to include a keyword in your URL when you’re first creating a post, changing it now would create broken links in content that references your post. Use the URL edit feature (usually accessible via an edit icon like a pencil next to your URL as you’re editing your post) to ensure your URL does not change when your title is updated. Alt – Update your Alt tags (image description tags) with a description of the image and include the page’s keyword. By incorporating your keyword research into your content, you can compete against competitors for a share of target markets that are looking for your value proposition. However, as time passes, popular search keywords will inevitably change and evolve. Conduct keyword research at least quarterly and update content accordingly to build on your competitive strategy. To create a healthy link profile, you need a quality internal linking and external linking strategy. Begin by linking your content together internally, then earn high-authority links by using Help a Reporter Out (HARO), Hunter, and Ahrefs and by creating and publishing quality and relevant content. Lastly, clean up your existing profile by replacing low-domain, on-site links with high-domain links and fixing broken links. Your deep content, like blog posts, videos, whitepapers, and infographics, should link to each other. This tells Google that your website has a theme and a lot of relevant content for target audiences to derive value from. Go through your posts and create two to three links to proprietary content in each one. Link to internal posts that are relevant to the subject matter and give readers more information about the topics they likely searched for. Earning links from high-authority websites should always start with creating high quality, expert content that other sites would be proud to reference. Some types of posts that often attract a lot of backlinks are interviews with subject matter experts, useful videos and infographics, fresh studies not previously published on the internet, listicles, and pro-tip posts. Begin earning links from high-authority sites by creating high-authority content. Next, reach out. Help a Reporter Out (HARO) is a free site you can use to reach out to journalists who publish on high-authority websites and hopefully earn a link from them. HARO sends out emails on a daily basis with relevant queries from journalists. The queries you receive will match your stated interests and requested expertise. In addition, Hunter helps you find emails for editors in your niche so you can pitch an article to high-authority websites that would include links back to your site. If it cannot locate a particular editor’s email, Hunter will offer a likely email based on how the company structures emails. These are almost always correct. You can also run their websites through Screaming Frog’s SEO Spider to locate their broken links, then reach out to editors with a relevant link from your website to replace them. Lastly, you can use Ahrefs to assess the domain authority (domain rating in Ahrefs, known as DR) of HARO journalists’ publishing websites and any websites you reach out to for link-building purposes. Only respond to journalists publishing on high-authority websites with a well-thought-out and researched response and a relevant link to content on your website. In addition, only provide replacement links or guest posts to websites that have a high domain authority. In the Screaming Frog SEO Spider crawl you did on your website, you will find a tab that says “External.” Here you will find all the links you included in content that point to outside websites. Run those links through Ahrefs to learn their domain authority/rating (DR), a number Ahrefs gives each URL submitted to them. If they are a low domain authority/domain rating, find higher-authority links to replace them with. In addition, look at your “External” links Status Codes and identify any that have a 404 code, indicating the link is broken. Replace those links with live relevant links to high-authority websites. You can also run replacement links by Ahrefs to verify their high-authority. Site speed is how fast your website loads when a visitor clicks on it. Many things can slow it down, including large videos and images, where your nearest participating servers are, too many plug-ins, your loading settings, and websites burdened by redundant coding data. Use Google’s Page Speed Insights to learn what website characteristics or content slows your website down. Then, work with your hosting provider or use tools to resolve any issues. Google’s Page Speed Insights gives businesses the tools to run their website for speed assessment on both mobile and desktop, then receive a report on what website issues may be causing slow load times. It tells businesses if they need to improve time to load above the fold (what visitors see before they start scrolling down a page) and time to load entire web pages. To begin, simply visit Google’s PageSpeed Insights tool and input your domain name. In addition, it’s helpful to analyze any pages on your website that are uncharacteristic in format or content. Your home page will show you a general view of how your website performs and what needs improvement. Uncharacteristic pages should be analyzed separately to determine how their performance differs. From there, you will receive a site speed score on a scale of 1-100, complete with recommendations on what to improve for faster load times. You want to aim for a score that is above 60. Following updates, the closer you can get your score to 100, the higher Google is likely to rank your website in the SERPs based on website speed. When site speeds are slow, one of the biggest and easiest fixes is reducing your visual content. This means reducing their size and ridding your site of unnecessary visual content like videos, GIFs, and more. Your Screaming Frog SEO Spider crawl gives you information to get started. Now that you’ve crawled your website, click on the “Image” tab. Filter out images that are over 100KB, then sort your images by size. Next, click “Export” to export your list. From there, start reducing the largest images and keep track of what you’ve accomplished as you go along on your exported report. Remember to reduce your images before reloading them to your website for best results. One free tool to help you do so without losing any of your images’ visual richness is to use TinyPNG. TinyPNG uses compression to reduce your image sizes. In doing so, it cuts down on the number of colors in your image, helping to reduce their size by 25 percent to 80 percent without any noticeable difference. They offer plug-ins for Magento and WordPress for automated compression. Next, go through your images and decide if each one is really necessary. For example, you may have added a GIF to a post for humor. Humor is great but if it makes your visitors’ website experiences frustrating, it’s not worth it. Remove unnecessary images, GIFs, and videos for a better user experience. This may sound really daunting if you’re a small business owner, but there are tools available to make this easy. For slow sites that have already addressed too many large images, videos, or GIFs, the next step is to reduce the burden your coding, data, plug-ins, and overall page sizes have on your website host. Implement Browser Caching – This allows you to temporarily store data on visitors’ computers so they don’t have to load the information from scratch every time they visit your site. Contact your hosting company to set this up. Activate Lazy Load – Lazy load increases your site speed by only loading content users need at the moment and deferring the loading of content until the user needs it, including content that is off-screen. Some plug-ins can help you do this automatically (see below). Implement Website Compression – This is the equivalent of putting your website in a zip file, thereby reducing its size and speeding up loading time. Contact your hosting company to learn how to do this on your particular server. Optimize Your Database – This process reduces waste and cleans up your database, reducing its size and making it easier to load. Some plug-ins can help you do this automatically. A CDN is made up of web servers that are distributed across multiple locations (e.g., countries or regions). Servers are selected for delivering your content to your website visitor based on how close they are to the visitor. The closer the server is to the visitor, the faster the site will load. For example, if someone visits your site from Mexico and you are located in the U.S., a CDN will choose the server closer to Mexico to deliver your website information. This may sound complicated but setting it up is really not, and it can be done for free. For example, Cloudflare offers a free CDN for small business or solopreneur websites. Simply create an account with them by entering your email and a password and add your website’s domain name. Then, follow the steps provided to begin tapping into their CDN for a faster website experience no matter where your visitors are. If your local business relies on local customers for revenue, this step is crucial to ensuring local customers find you online and are directed in-store. Begin by doing relevant local keyword research, then optimize your website to incorporate them. Next, claim your local business listings and optimize them with local keywords, correct categories, and contact information. Lastly, encourage positive reviews and claim and optimize business social media pages. SEMrush offers a free tool for you to find exactly what keywords you need to optimize your website for local search. Under the free plan, you can conduct up to 10 searches a day. Simply head over to their website and type in your URL. From there, you will be prompted to create an account. You will be presented with a report on what organic keywords you’re ranking highest for and, more importantly, who your top competitors are. Scroll down to find the “Main Organic Competitors” report. Write down your competitors’ domain URLs. On the left-hand side menu, click on “Gap Analysis” and click “keyword gap.” Input your top competitors’ domain URLs into the boxes that say “Enter domain.” From there, you will receive a report on what keywords they outrank you on as well as their popularity, so you can choose keywords you know help competitors rank and, therefore, can help you do the same. Now that you have your local SEO keywords, it’s time to optimize your site with them, just as we walked you through doing in Step Five. However, what sets this step apart is that you are also going to add the geographic modifier to metadata descriptions, titles, and subtitles, as well as in content. You can fit this into service pages content, product review and comparison guides, product pages, and more. Be sure you consider two things as you do this. First, don’t over-optimize your content. Use the “Find” tool to search for keywords in pages you’ve optimized. If it looks saturated, you’ve gone overboard. Second, avoid duplicate content. If you have multiple locations, don’t be tempted to create a website or page for each with the exact same content but optimized with local keywords. Instead, create a custom landing page for each location, using a tool like Unbounce. First, understand where you currently stand on local online business listings. A quick and free way to do this is to run your business using Yext’s business listing tool. It will show you everywhere your business is currently listed so you can claim those listings, ensure all pertinent information is correct (business name, contact information, categorization, and more), and that keywords are incorporated for greatest visibility among local customers. At the very least, make sure you are listed in Google My Business, Yelp, Facebook, Instagram, Bing, and Yahoo! Then, assess what other directories are relevant to your business. As a starting point, take a look at Hubspot’s list of 57 directories you can list your business on here. Your business listings will be most valuable to bringing in customers if the reviews offer word-of-mouth proof of your product or service quality. When competing in the SERPs—even if you’re not the top-listed business—if you have great reviews, you can beat out the competition. If you find your listings have inaccurate, sparse, or no reviews, it’s time to work on this. Respond to all inaccurate and negative reviews with correct information and polite attempts at resolutions. In addition, begin asking customers for reviews. You can do so by reaching out to local customers and asking them what you can do better. For those who respond, offer a resolution to any issues and ask them for a review on business listings once problems have been fully resolved. For those who answer positively, ask them to hop over to your business listings to leave a review there. You can even offer a coupon code for an honest review. While it is important to at least conduct an SEO edit on a quarterly basis, be sure to check your website analytics to detect and correct any red flags that arise in the interim. Specifically pay attention to high bounce rates (how many visitors click on a web page, then immediately leave), and significant drops in traffic. Tracking your website’s Google Analytics trends on a weekly basis can help you catch and resolve red flags before they create a huge drop in revenue. If your bounce rates have suddenly risen or have always been high, it is a sign your content is not relevant to what searchers want. This could be a problem with your content quality, a mismatch in the keywords you’re using to search intent, or even irrelevant websites linking to your website. A couple of things you can do to investigate this issue is to use a funnel analysis tool like Freshmarketer to observe and directly ask visitors why they are leaving your site. You can also investigate your link profile to determine if broken links or irrelevant inbound links are creating a frustrating or irrelevant experience for website visitors. If your traffic suddenly experiences a major drop, this is a red flag you need to investigate. To prepare for a situation like this, begin tracking your traffic rates on a weekly basis. You can do this simply via an Excel spreadsheet. Get to know the normal ebbs and flow of your website’s traffic on a weekly, monthly, and seasonal basis. If you see a significant drop that deviates from the norm, begin to investigate by asking a few questions of your website experience. Has Google Recently Updated Its Search Algorithms? Simple Google research can show you what updates Google has made to how it ranks websites. Are You Experiencing a Drop Among Specific Segments? Segments could include visitors coming from specific devices or interacting with particular product pages or blog posts. Use a funnel analysis tool like Freshmarketer with segmentable session recording and the ability to reach out to website visitors to ask their preferences. Is Your Website Being Penalized by Google? Visit your Google Console account to check for penalty alerts. Did the Drop Occur Following Major Site Changes? These might include a rebranding, reorganization, or a migration to a new property. If so, consider doing another SEO audit starting with Step One of this guide. An SEO audit ensures that a business’ online presence meets Google’s and other search engines’ requirements to compete on ranking in search engine results pages. It includes auditing business website performance and content to be most relevant and satisfying to target searchers and ensuring brand’s off-website presences contribute to a positive and highly visible customer experience to lead people to the company website and through to conversion. Google is continually creating new algorithmic updates that affect ranking. So, companies must keep up to date on how Google ranks them and, in turn, continually update their SEO to compete with competitors in the SERPs. Companies that don’t perform an SEO audit on a regular basis run the risk of being buried under competitors when customers search for them, resulting in lost revenue as searchers click on competitor websites instead. What Are the Best Tools for an SEO Audit? Without online tools, it is difficult, if not impossible, to do a complete SEO audit. Some of the best tools to include in your SEO audit toolkit include a crawling and XML sitemap tool like Screaming Frog’s SEO Spider tool, a competitive keyword and link research tool like Ahrefs, a keyword and content idea tool like Ubbersuggest, link building tools like HARO and Hunter, site speed assessment tools like Google’s PageSpeed Insights, and more. An SEO audit can range from $600 to $2,000, depending on the size of your small or medium business website and how many issues need to be investigated and updated. SEO consultants usually charge between $125 and $200 an hour. SEOquake Businesses needing a free real-time SEO audit tool on a per-webpage basis. Ubersuggest Businesses needing a free keyword research and content idea generation tool for multi-lingual markets. Screaming Frog Businesses needing to pinpoint website and link-profile performance issues that harm Google rankings. Copyscape Businesses trying to prevent or resolve low Google rankings based on duplicate content. HARO Businesses needing to boost inbound links from high-authority industry websites. Hunter Businesses needing to boost inbound links from niche industry websites. Long Tail Pro Businesses needing to incorporate low-competition, highly-profitable long-tail keywords into their SEO strategy. SpyFu Businesses needing to learn who their ranking competitors are, then learn their keyword strategies. Moz Pro Businesses looking for an affordable SEO toolkit with free tools and expert SEO guidance. Ahrefs Businesses needing to monitor their rankings against competitors to compete on link building. SEMrush Growing and mid-sized businesses needing a complete SEO workflow tool. For more information, read our article on the Best SEO Tools for Small Business. Brands must complete at least a quarterly SEO audit for on-page, off-page, site speed, and XML updates to stay current on search engine expectations and compete for online clicks and revenue. In the interim, ongoing analytics checks help businesses detect and resolve red flags that affect rankings. 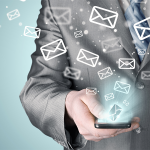 This ensures maximum user engagement, leading to increased brand awareness and sales. Many small businesses would love to keep their SEO healthy but lack the time to invest in it. Fiverr offers SEO audit experts on a project-by-project basis and at negotiable rates to match any small business budget. Simply create an account with Fiverr and use the search bar to search for “SEO audit.” Review the list of Fiverr SEO audit experts for 4.5-star to 5-star providers and contact them to learn about their pricing and services.